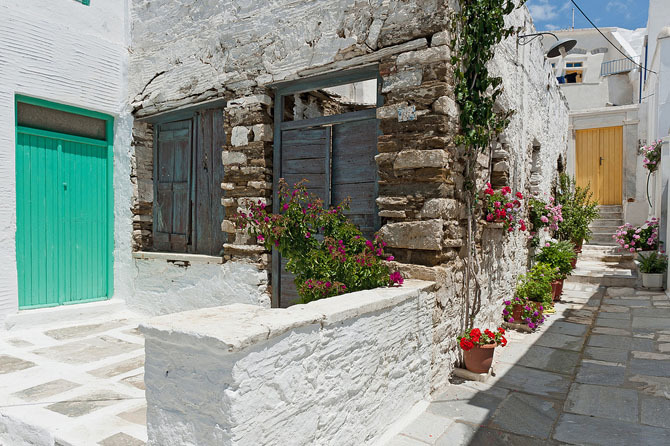 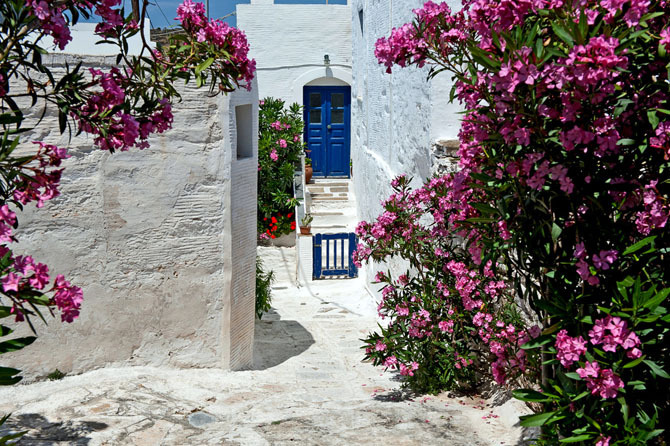 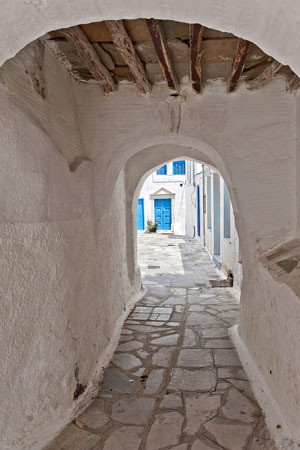 Pyrgos is probably the most famous village after Panagia Evangelistria, in Tinos. 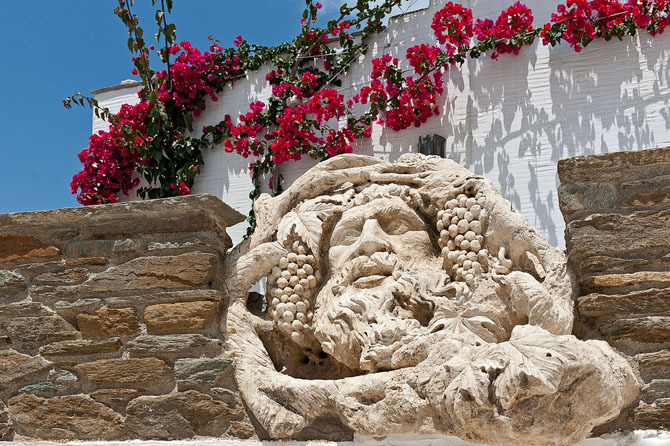 A place in which trade flourished, but mainly the arts, since here were born and created some of the most important sculptors and painters of Greece, such as Giannoulis Halepas, Dimitris Filippotis and Nikiforos Lytras. 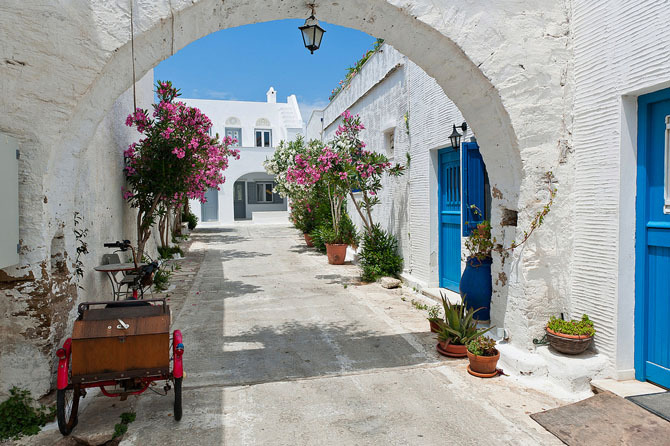 The walk through the alleys of the village gives the feeling that you walk around a Marble museum, since the carved marble decorates richly fountains, churches, but also the lintels of the houses, the cobbled streets and even the bus stop. 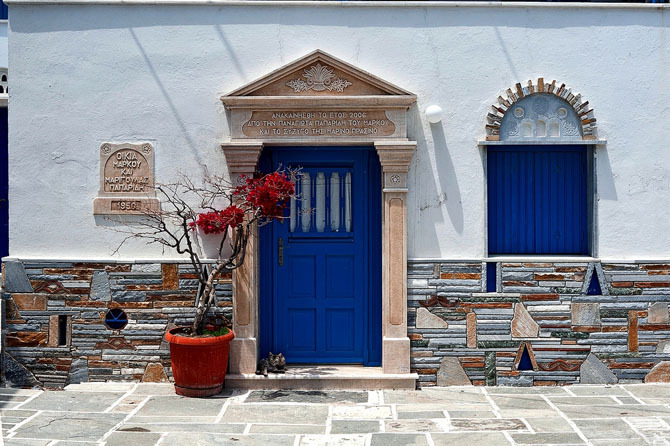 Even today the marble art is booming, with several sculptors having their workshops here and the school of Marble Crafts of Tinos incubating young artists. 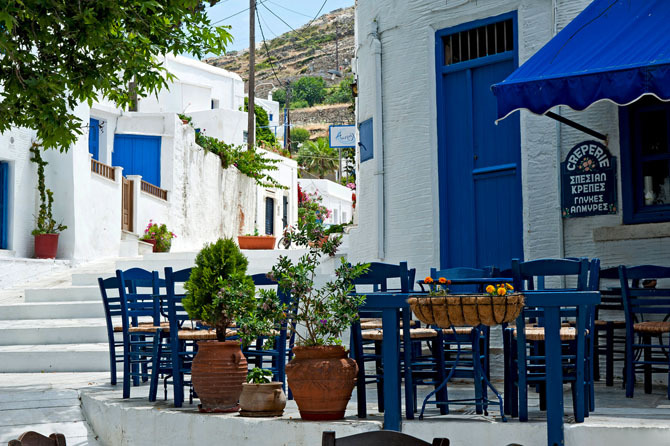 The largest village of Tinos has a nice surprise: a large plane tree in the middle of the main square, next to the marble fountain, with ornament shops surrounding it; perfect for morning coffee, lunch, appetizers, dinner and desserts. 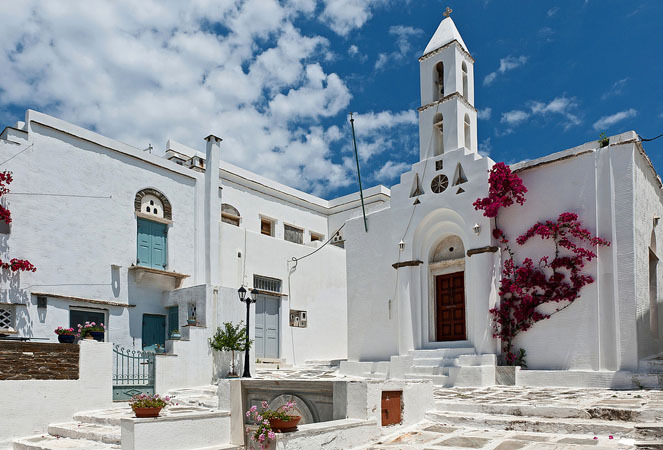 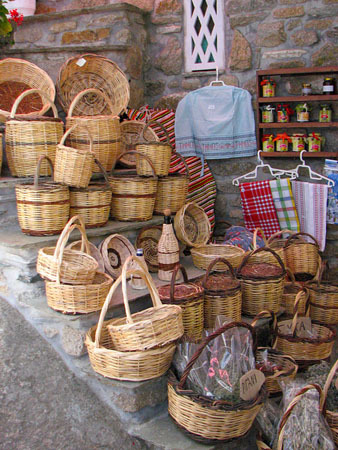 During your strolls in the neighborhoods of Pyrgos, you will meet very interesting museums such as the open to visitors home of Giannoulis Halepa and the Tinian artists museum. 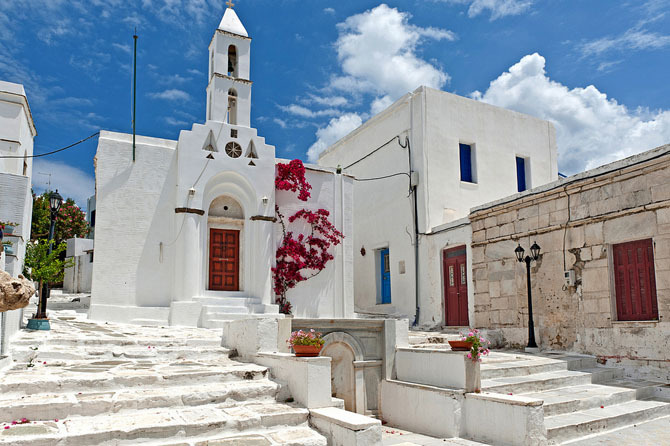 Prominent is the position of the Marble Museum, next to the School of Fine Arts, that gives a complete idea and feel of the mining and the processing of marble, tools, techniques and marble varieties. 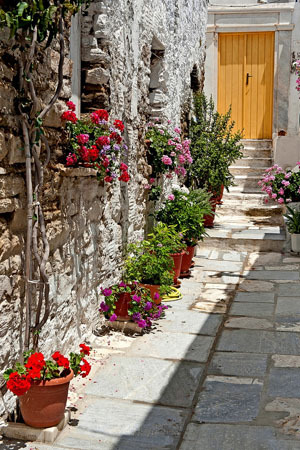 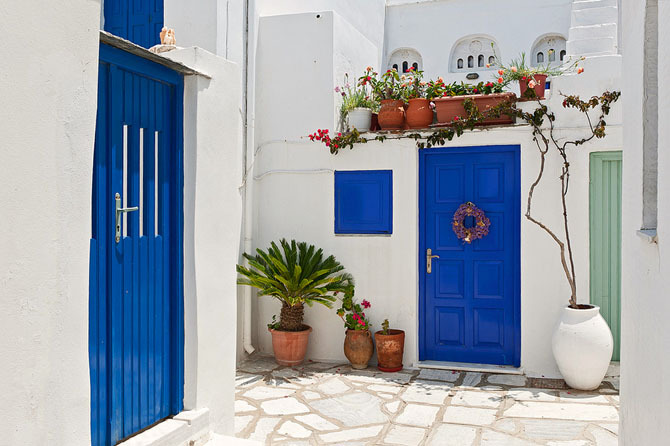 Pyrgos, the village of the arts, gives generously moments of relaxation and enjoyment with great attention to aesthetics. 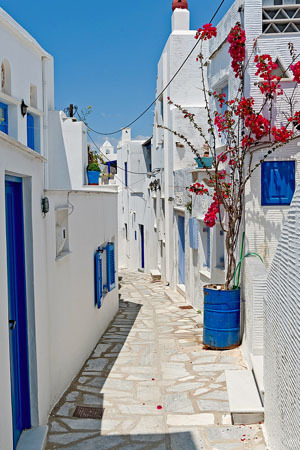 Tinos! 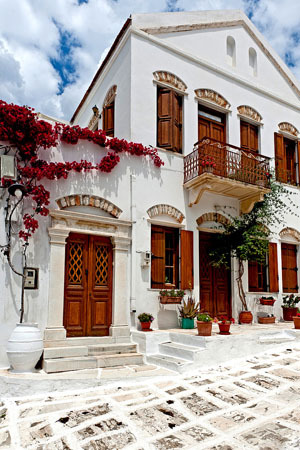 Wedding destination for any taste! 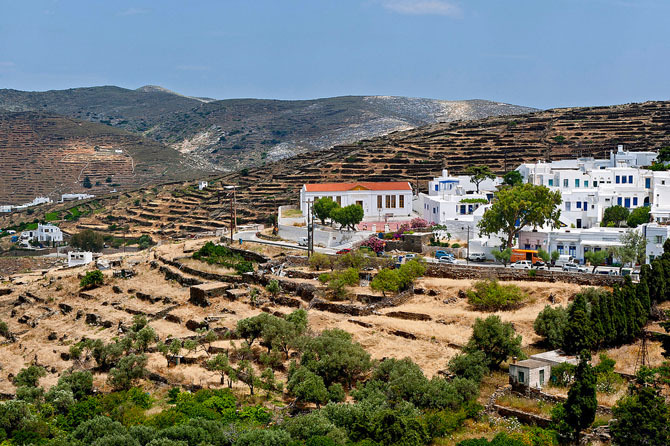 The Porto Raphael experience of Tinos! 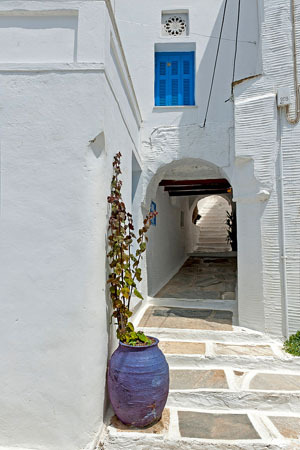 Ninemia Suites and Tinos! 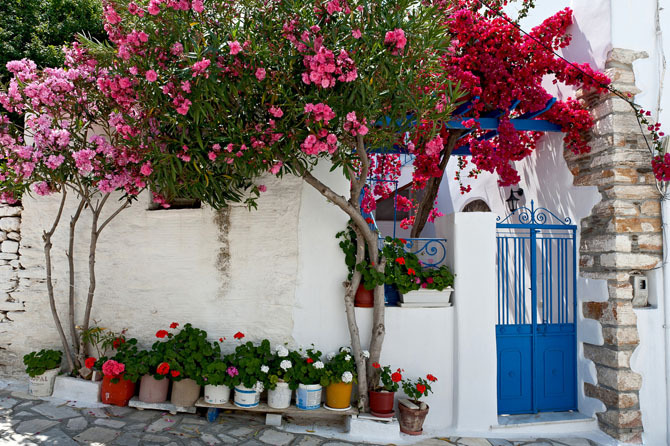 Strong combination! 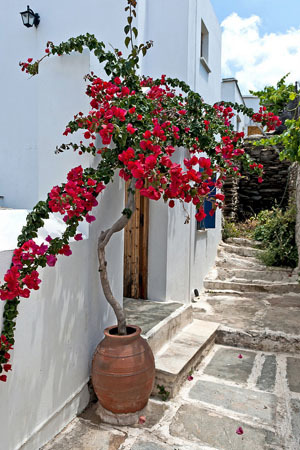 Relaxation and rejuvenation at Byzantio Bungalows! 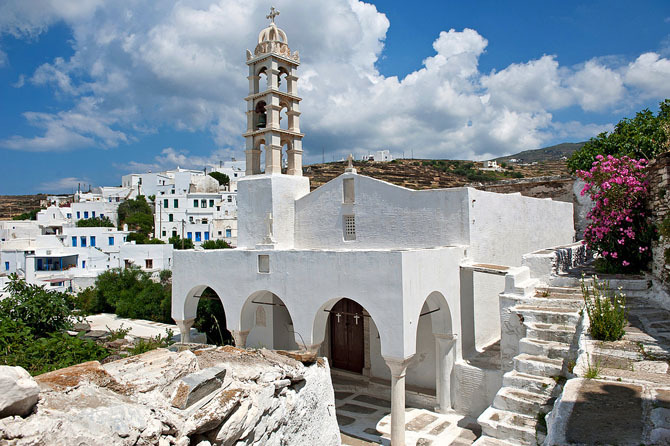 The experience of Agios Romanos!